Liposuction was introduced to plastic surgery by the French surgeon Dr. Yves-Gerard Illouz in 1982, providing a new option for individuals who wanted to get rid of unsightly fatty areas. Its elegance in simplicity and efficacy immediately brought it into the mainstream of plastic surgery. After three decades of use, liposuction remains one of the most popular procedures performed by plastic surgeons, accounting for 325,332 cosmetic surgical procedures in 2011, more than any other cosmetic procedure. The safety, efficacy and even longevity of liposuction depend on an educated patient. Here are frequently asked questions that, when answered, will best position you for a desirable outcome. As emphasized by the American Society for Aesthetic Plastic Surgery, the best candidates for liposuction are patients with isolated areas of fat that are (1) out of proportion with adjacent areas and (2) don't go away with diet and exercise. "Love handles" and "saddle bags" are common areas of concern. Since liposuction removes only fat and not skin, other areas considered for liposuction (e.g. "belly") should have good skin tone and minimal excess skin. 2. What kind of liposuction is best? There have been many modifications in liposuction equipment over the years. All are variations on the theme of a metal tube being placed in the area of concern and a vacuum pump aspirating the unwanted fat. This is referred to as "suction assisted liposuction." Various adjuncts have been added to this basic construct to improve results. These include, for example, technology to break the fat away (ultrasound) or melt it (laser). These newer technologies introduce additional variables into the procedure and therefore can have the potential for more complications. True of many technologies that are designed in the hope of expanding market share, aggressive marketing by the manufacturer generates a patient-driven demand for specific approaches. Patients should discuss the choice of technique in detail with their surgeon. Newer is not necessarily better. A board certified plastic surgeon can help you determine which approach is right for your specific body type and needs. Yes -- if performed by a well-trained physician competent in evaluation, judgment and surgical technique. Liposuction, similar to any cosmetic surgery, involves a real and significant impact on violating the body to improve appearance. There are many potential risks involved including bleeding, infection, nerve damage and delayed healing. Plastic surgeons certified by the American Board of Plastic Surgery go through prolonged specific training, examinations, and requirements for recertification to avoid these complications and make cosmetic surgery safe. All members of both the American Society of Plastic Surgeons and the American Society for Aesthetic Plastic Surgery must be certified by the American Board of Plastic Surgery to be considered for membership. A fundamental theme of the educational efforts of both of these societies remains patient safety. Many physicians who are performing invasive cosmetic plastic surgical procedures are board certified in other practices, but not by the American Board of Plastic Surgery. Among those who will say they are qualified to perform cosmetic surgery are those certified in family practice, gynecology, the list goes on: training and certification have far different emphases than that of plastic surgery. It all depends on the patient and their actions after surgery. For the sake of discussion, we can assume that we are each born with a certain number of fat cells. Liposuction removes fat cells in the area of the procedure and they are gone forever. However, if the patient takes in more calories than they burn, those extra calories are stored as fat. The remaining fat cells enlarge both the cells remaining in the area and cells in other parts of the body. The only way to maintain the effects of liposuction is to burn the same amount of calories as you take in. In any patient, with or without liposuction, extra calories get stored as fat. For example, for the average person, one hour of high impact aerobics, vigorous weight training, circuit training, or playing basketball will burn about 500 calories. On the other hand, an order of large fries, slice of pizza with toppings, or breakfast sandwich can each add 500 calories. A fancy cocktail may add the equivalent of another hour's worth of exercise. The message here is that it takes a lot of exercise to burn a few calories. Mike Boyle, world famous strength and conditioning coach, says that unless you are an Olympic swimmer, weight loss or maintenance is 80 percent diet and 20 percent exercise. The other point to understand is that "healthy" foods can be just as detrimental to your figure as "junk" foods. It all depends on the number of calories you consume. Adrian Norris, one of Mr. Boyle's associates, uses juice as an example. She points out that juice, with its "good for you" image, is essentially sugar and water. 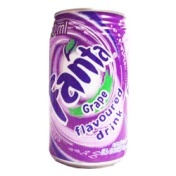 In fact, a 12-ounce bottle of grape soda has 159 calories. 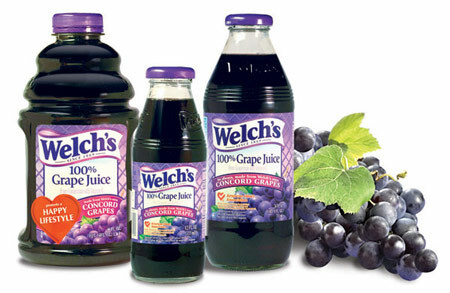 The same amount of unsweetened grape juice packs 228 calories. In my experience, the patient who understands the answers to these questions, and not only the logistics of the procedure itself, is more likely to be happy with their liposuction results over the long-term.